Guangzhou Academy of Fine Arts（GAFA)，the only one of its kind in South China, is the predecessor of Central South College of Fine Arts, a merger of South China Institute of Art and Literature in Guangzhou, Central South Institute of Art and Literature in Wuhan, and the Guangxi Institute of Art. 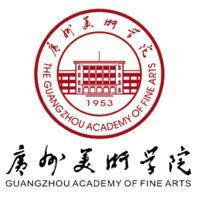 The merger, which was initiated in 1953, moved to Guangzhou in 1958 and was renamed as Guangzhou Academy of Fine Arts. In the same year, the school began to enroll undergraduate students. The Academy, which once operated under the jurisdiction of the Ministry of Culture, is now directly under the provincial government of Guangdong.